Participating companies include Ableton/Cycling '74, Art+Logic, Bome Software, Google, imitone, Native Instruments, Roland, ROLI, Steinberg, TouchKeys, and Yamaha. Sometime's it's a good idea to step back and let things settle a bit, especially when it comes to standards definitions. Yeah... I wasn’t criticizing. I was thinking essentially what you said: if Dave’s not on board, it may be because it isn’t fully cooked. I distinctively remember hearing Dave Smith say on a video that MIDI 1.0 had enough forward-thinking that an update wasn't necessary (because people kept asking for a newer revision), and anything that needs to be done which it can't support can just be done through sysex. 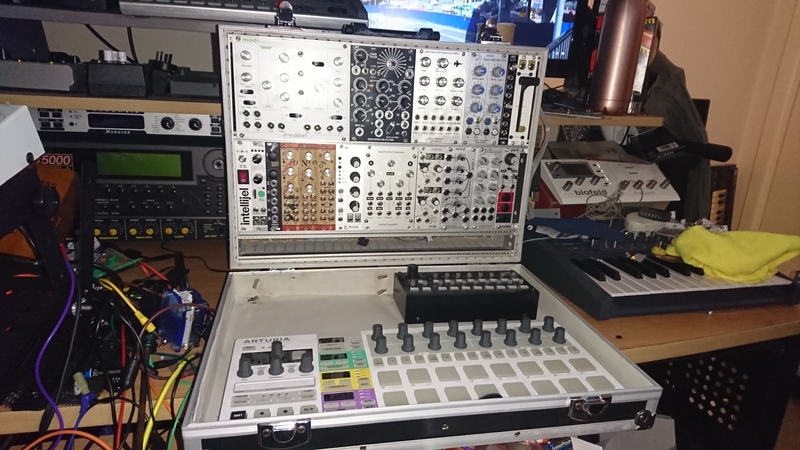 And then also to maintain pure backwards compatibility with all of the legacy synths that have gotten popular again. 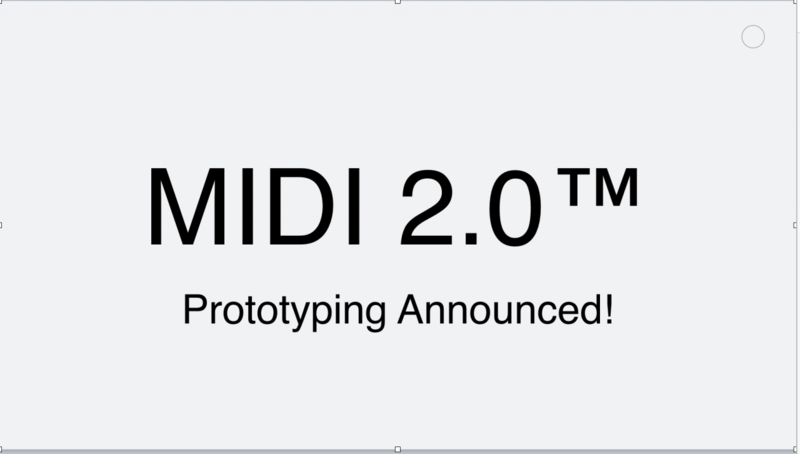 "The MIDI 2.0 initiative updates MIDI with auto-configuration, new DAW/web integrations, extended resolution, increased expressiveness, and tighter timing -- all while maintaining a high priority on backward compatibility." I guess Sequential will need to come up with a new product--the Prophet Antivirus Suite 3000, protecting your MIDI 2.0 synthesizers from sysex internet-based viruses. Hahaha. On this point, I believe that a company would have to be daft be running firmware updates via streaming from the 'net. The use updater software as some companies do now is far more controllable in that it validates the update to ensure the code wasn't corrupted somewhere along the line. Even if such a process were built into the instrument, where it would call home, check for updates, download the update then validate it before installing. It would all be done via an ssh connection to ensure no snoops. It's paramount that a user not brick their instrument so as not to have a group of upset users screaming that their instrument was ruined by an update from a business point of view. Well HP has their PC firmware update over the internet in the UEFI, so it wouldn't be outlandish for a synth manufacturer to do it. And I mean, something like the MatrixBrute already updates over the internet--you just connect it to your computer (with a valid internet connection) and away it goes with a click of a button (although that's still circling your original point in regards to a software suite doing it versus the synth doing it alone). Yes I am aware how Arturia distribute their firmware via a download from their site, I own many of their devices. It's installed using a piece of software which uploads it to the instrument. Even when their software locates a new firmware for your instrument/sequencer, it is first downloaded. It's not streamed.